Apple Chief Executive Tim Cook will once again sit down with Samsung's CEO in an effort to reach a settlement in their ongoing patent infringement case before the jury begins deliberations. Citing a person familiar with the matter, Bloomberg reported on Monday that Cook is set to engage with Samsung CEO Kwon Oh Hyun in private talks on the telephone. Lawyers representing Apple and Samsung will report on the outcome of those talks to U.S. District Judge Lucy Koh. Cook last met with the CEO of Samsung in May, but no resolution came about from those discussions and the trial between the two parties started in late July. Cook last spoke with Geesung Choi, president and chief executive of Samsung's digital media division, while the latest talks are said to involve Oh Hyun, the company's new CEO. Oh Hyun was named chief executive of Samsung in June, and was immediately viewed as an Apple-friendly choice. Some industry watchers felt Samsung's choice of Oh Hyun was a sign that the Korean electronics maker was attempting to retain Apple as a customer for parts like mobile processors, flash memory and displays, even though Apple and Samsung remain bitter rivals. The latest last-ditch talks between Apple and Samsung come as jurors in the California trial are awaiting a streamlined work sheet that will allow them to potentially enter a verdict in the patent infringement suit. Both Apple and Samsung have accused the other of violating patented inventions related to product design, software development and wireless communications standards. 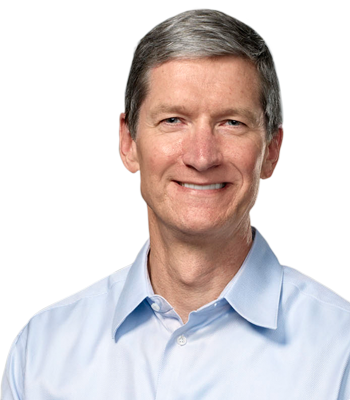 Apple Chief Executive Tim Cook. If a resolution cannot be reached in the talks between Cook and Oh Hyun, deliberations are expected to begin with the jury as soon as Tuesday. Koh asked both parties to discuss a settlement last week, saying it was "time for peace." But lawyers representing each side made a joint filing on Saturday stating they had failed to narrow their dispute through those last-minute discussions. Koh had hoped the parties would at least narrow their claims if a complete out-of-court settlement could not be reached. She felt a winnowing of claims would make it easier for jurors to come to a decision in the complex case.